Romance Your Autumn Nights – Huge Giveaway! WELCOME to the Annual Urban Fantasy and Paranormal Romance Book Fair! 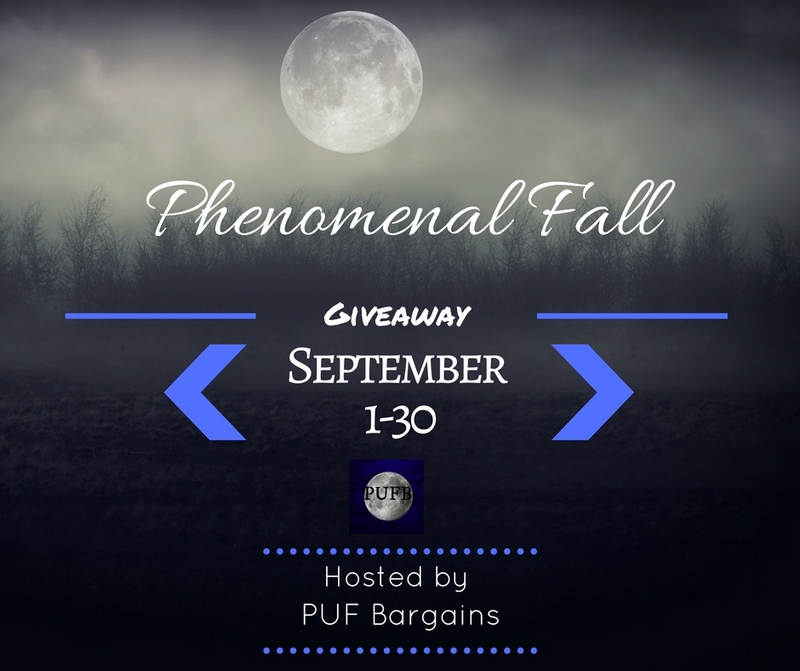 The annual UF/PNR Book Fair is a hosted by Genre Crave / Free Kindle Giveaway and aims to bring you ONE HUNDRED of today’s best undiscovered Urban Fantasy and Paranormal Romance titles along with a chance to win TONS of really amazing titles from today’s hottest authors in the genre. There is truly something here for everyone! And when you enter our giveaway, we’ll connect you with even more great deals, freebies, and gifts from the participating authors! We will preorder them to ship directly to YOU! Not feeling ready? Need supplies? Enter to win $960 in Amazon Gift Cards by subscribing to 48 newsletters. Subscribe to one or all. One entry per newsletter. Seven winners will receive $30 Amazon Gift Cards. I am so, so excited to be part of this amazing boxed set of Twenty-One Exciting Paranormal and Urban Fantasy stories. With ONE MILLION WORDS of romantic paranormal fiction (yep, you heard that right!) this boxed set will light light up your night with vampires, witches, warriors, and more! This limited edition omnibus is packed with today’s NY Times, USA Today, and International Bestselling authors to create a collection you won’t soon forget. With 100 hours of reading, you’re paying a penny per sixty minutes of enjoyment. Includes the newly revised edition of my paranormal romance, Soul Ties. a. Grab this collection today before it’s gone for good! c. Join our Facebook Party where things are already heating up with this awesome giveaway! I can’t tell you exactly what’s in the giveaway… it’s a super secret swag pack. You’ll see it when it comes. Paperbacks, jewelry, bookmarks, and more, all in a unique tote bag! So. Here’s how to win. Preorder 21 Shades of Night at your e-retailer of choice, and comment here letting us know you did. Tag someone in the comments who you think would enjoy sinking their teeth into this PNR/Urban Fantasy bundle. You can tag as many people as you like- one entry per person that you tag. Share the link to this giveaway, and comment here letting me know where you did/how many times, if you are sharing to multiple pages or groups. You’ll get one entry per share. Tweet the link to this giveaway, and comment here letting me know that you did. One entry per comment/tweet. You can enter as many times as you like! This giveaways gonna run for two weeks. Let’s get the word out! 21 Shades of Night is gonna rock your world!